Like face planted went there. Yes my friends. Fall baking. Just because I have my staple gun handy and ready to attach that first leaf back onto the tree when it attempts to taunt by floating gracefully to the ground or the fact that all my sweaters are still packed away in the darkest corner of the storage room and will remain there for as long as possible, despite the sudden chill in the air OR that the gorgeous Autumn wreath I mistakenly paid full price for last year, (It should have been 60% off), but couldn't be bothered to go back to the store and make the correction is collecting serious dust in the garage doesn't mean I don't secretly enjoy a nice pumpkin cookie. Or latte. Or slice of pie. Yes, I usually reserve it for after Halloween, but this year, you know what? It is what it is. In a mixing bowl, whisk flour, baking powder, baking soda, salt, cinnamon, and oatmeal together; set aside. 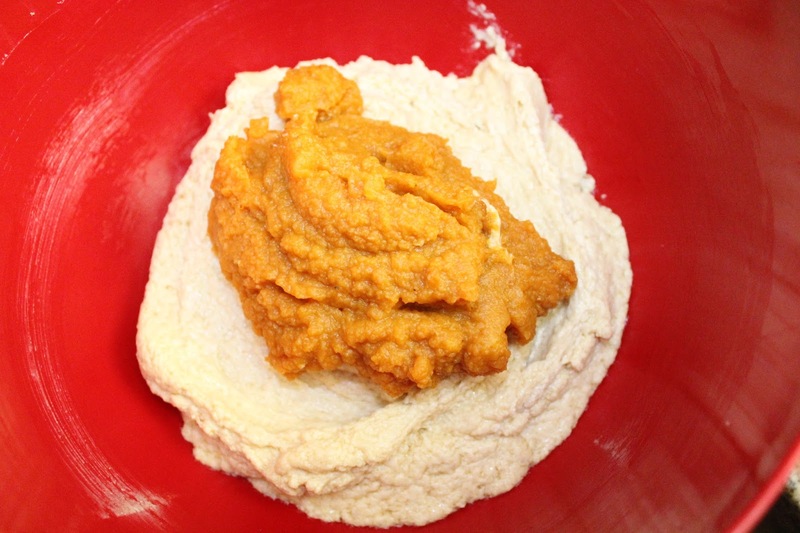 In a separate bowl, using an electric mixer, beat butter and sugars together until creamy. Add in pumpkin, eggs, vanilla and beat until incorporated. 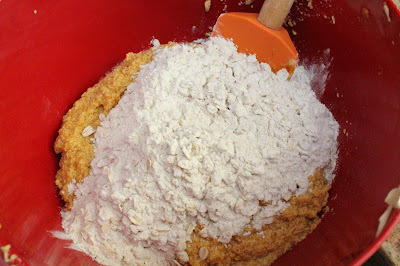 Gradually add dry ingredients to batter and mix until combined. Stir in chocolate chips and pecans. Place dough in fridge and chill for about 30 minutes. Preheat oven to 350º. Prepare two cookies sheets by lining with parchment paper or silicone mats. Using a medium cookie scoop with a retractable mechanism, drop dough onto sheets. These cookies don't spread much, so you can place them close together. Bake for 13-15 minutes or until edges are golden. Do not over bake. Definitely adding to make must bake list. They sound amazing and so autumnal. I'm quite looking forward to autumn (although I may regret saying that when the cold weather and dark mornings set in!). These cookies sound like just the thing to welcome in the new season. Love the presentation too! These look like the perfect and hearty cookie for Fall! Such an interesting combination of ingredients. I'm sure they taste good. Thanks for sharing! Brave girl. I'm hanging onto Summer with a vice grip. Pumpkin Shmumpkin! I'm in serious denial, but it's also been blazing hot in these parts. 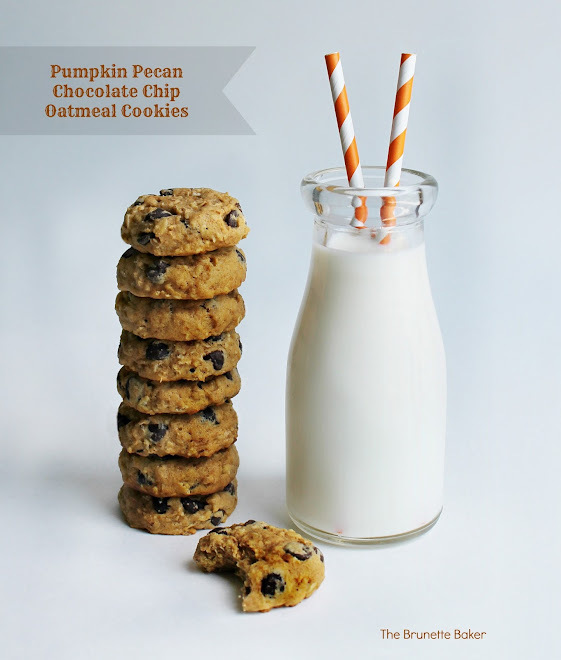 However, when it is pumpkin time I'm gonna give your cookies a go, just cuz they look delish. i must say, thank you for this recipe!! I just got done baking them and, dang, are they delicious! 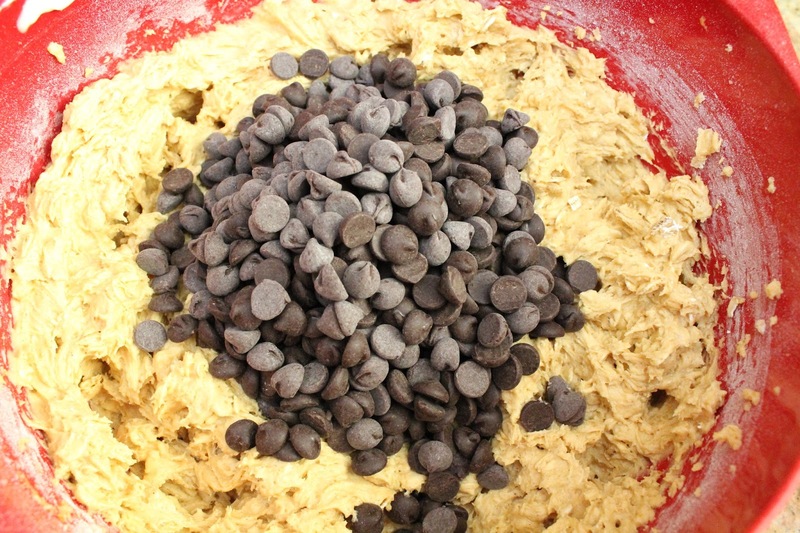 Perfect Fall cookie recipe. I used a regular spoon (the larger size) for dropping the dough onto the cookie sheet and baked them in an electric oven for 12 minutes and they came out perfect! Yum, these look decadent. Chocolate and pumpkin sounds like a great combo. I opened a can of pumpkin the other day and have lots left over so have a great excuse to bake these.